Leukemia inhibitory factor (LIF) is a member of the IL-6 cytokine family, which also includes IL-6, IL-11, IL-27 p28/IL-30, IL-31, Oncostatin M (OSM), Cardiotrophin-like cytokine (CLC), Ciliary neurotrophic factor (CNTF), Cardiotrophin-1 (CT-1), and Neuropoietin. Like other IL-6 family cytokines, LIF is a four alpha-helix bundle cytokine that signals through a receptor complex containing the gp130 receptor subunit. LIF binds with high affinity to both LIF R and gp130, which form a heterodimeric receptor complex. Both LIF R and gp130 are signal-transducing receptor subunits that associate with the Jak family of tyrosine kinases through their intracellular domains. Activation of Jak family kinases leads to the phosphorylation of STAT family proteins, primarily STAT3 and to a lesser extent STAT1, which dimerize and translocate to the nucleus, where they regulate gene expression. 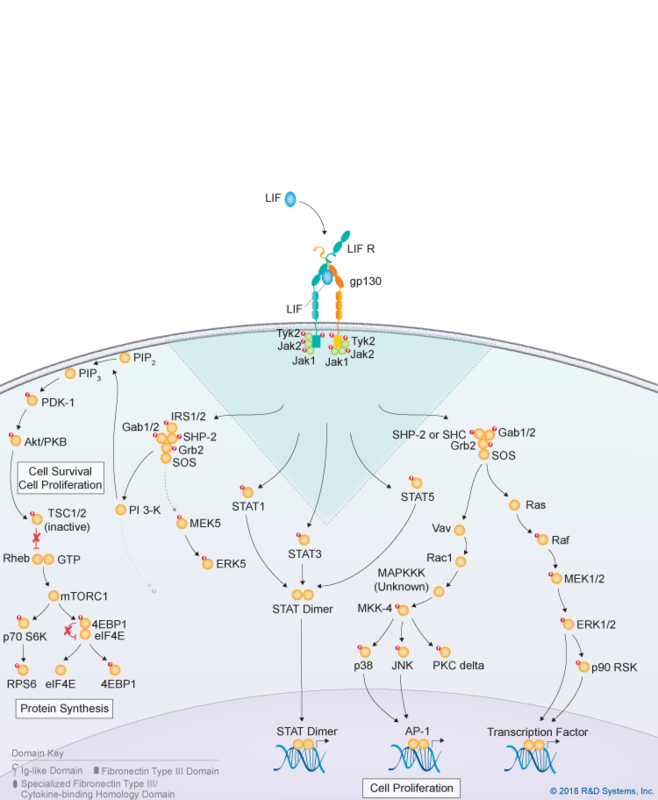 In addition to Jak-STAT signaling, LIF also activates the Ras-MAPK signaling pathway, the PI 3-K-Akt signaling pathway, and the p38 and JNK MAPK pathways. 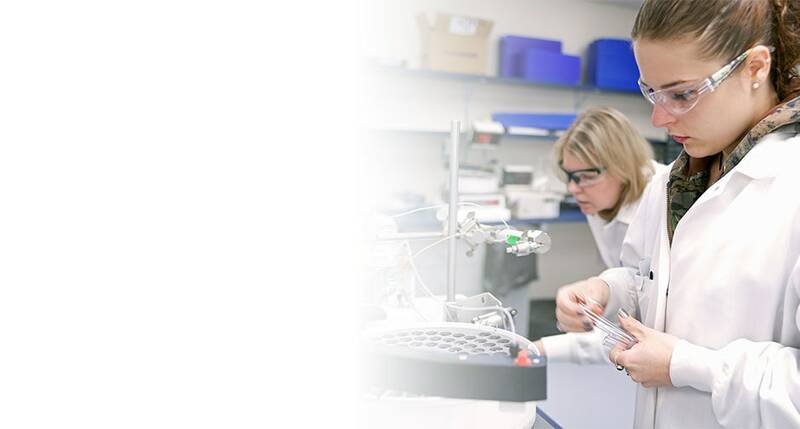 LIF is produced by numerous different cell types and plays a critical role in regulating nervous system development, stem cell pluripotency, differentiation, bone metabolism, and inflammation. It was originally identified and purified based on its ability to induce mouse myeloid leukemia M1 cell differentiation and has subsequently been shown to be involved in maintaining the pluripotency and self-renewal capacity of embryonic stem cells and increasing the self-renewal capabilities of neural stem cells. In addition, LIF has been found to have effects on the nervous, reproductive, skeletal, muscular, and endocrine systems. It has been shown to stimulate the production and survival of neurons and oligodendrocytes, facilitate successful embryo implantation, regulate bone formation and remodeling, regulate myoblast survival and differentiation, promote the differentiation of both cardiac smooth muscle cells and adipocytes, and regulate adrenocorticotropic hormone secretion. Besides these activities, LIF has also been reported to regulate inflammation, promote regulatory T cell differentiation, and induce the acute phase response in hepatocytes.